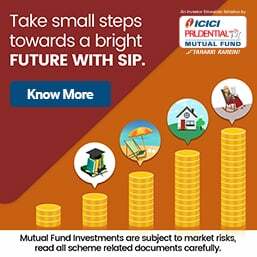 In what finally appears to be a crackdown against Zee, consequent to the enforcement of securities by two lenders on Friday, Member SEBI Madhabi Puri Buch has finally summoned the four CEOs of Birla MF, ICICI MF, HDFC MF and RELIANCE MF and the CEO of ratings agency Brickworks on Monday to quiz them on the matter. This looks like a case for punitive action by SEBI. 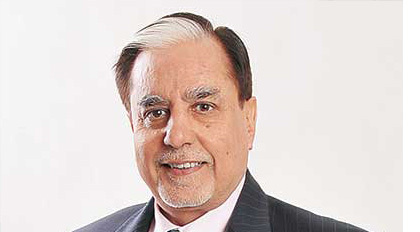 On January 27, Zee Chairman Subhash Chandra stated that an agreement had been reached with lenders; the next morning his son said 96-97 per cent lenders have approved; the stock rose from Rs 310 to Rs 380; by Friday it became clear that no agreement had been signed; further two lenders enforced securities and sold shares, proving the statements of January 27 and 28 were clearly fraudulent and misleading. As of Friday, Feb 1, not even 10% of lenders had signed off on the alleged "settlement." Based on the enforcement of securities by two lenders, the company has called emergency meetings of lenders this past weekend to secure approvals. The fact remains that as on Jan 27th/28 when the announcements were made by Zee Chairman, Subhash Chandra and his son regarding the alleged 96-97% approvals to the so-called settlement, there was absolutely nothing signed off by lenders for even a week thereafter, and all announcements to that effect were patently false and misleading. The chickens are coming home to roost. Instead of better governance and clean administration, we have been hit by a spate of corporate scandals. In each case, collusive deals between top management of banks and corporate houses have inflicted massive losses, caused share prices to crash and created major panic in the capital market. All this can be traced to the government’s failure to insist on accountability of regulators and being focused on optics and management of large programmes such as Jan Dhan, Mudra loans, Swachch Bharat, demonetisation or the much-hyped but badly implemented Goods and Services Tax (GST). Meanwhile, the Modi government deliberately weakened public sector banks (PSBs), keeping them headless for long periods, forcing them into non-core activities and, when bad loans ballooned, straight-jacketing them through prompt corrective action (PCA). When that too didn’t work, it decided to force-merge several PSBs as though a larger bank will reduce the problem of corruption, behest-lending and absence of accountable management. A quick look at a spate of recent scandals would reveal how this has played out. 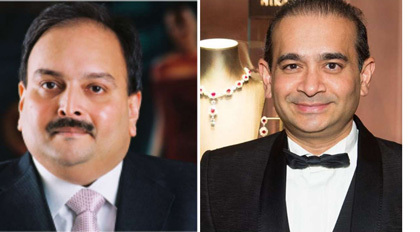 Nirav Modi – Gitanjali Gems: Failure of supervision by the Reserve Bank of India (RBI) and the fact that the bank’s top management was busy with Jan Dhan accounts, Aadhaar enrolment, handling demonetisation or participating in Swachh Bharat photo opportunities allowed officials down the line to loot the banks in collusion with Nirav Modi and Mehul Choksi of Gitanjali Gems. The investigation that followed is focused on bank officials and the company without going into what enabled such a massive fraud. For a while, the government blamed the 80:20 gold import scheme introduced by its predecessor; but there is no formal inquiry. Not even into the unusual benevolence shown by RBI and the Securities and Exchange Board of India (SEBI), RBI and SEBI, towards the scamsters who have fled the country. Bankruptcy Code: The Insolvency and Bankruptcy Code (IBC) allowed the government to brag about a 30-point jump (to No. 77) in the global Ease of Doing Business ranking. But the Ruias of Essar Steel, the biggest wilful corporate defaulters, continue to game the system. 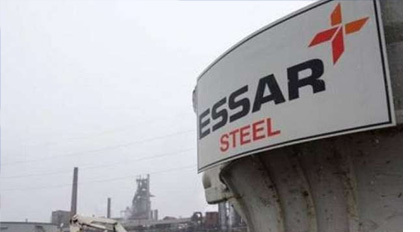 On 30th January, the NCLT (national company law tribunal) rejected Essar’s sudden offer to settle all dues by producing Rs54,389 crore from unnamed sources. But Arcelor Mittal, whose bid of Rs42,000 crore has already been accepted by the committee of creditors, will still need to fight it out at the appellate tribunal and the Supreme Court to buy this chronic defaulter. If the sale does not go through before the general elections, one doesn't know what machinations will be at play under the next government, especially if it is a rag-tag coalition. Barring a few steel companies, the bankruptcy process seems headed for the same delays and manipulation that afflict out judicial system. Most defaulting companies have no buyers and recovery through liquidation will be less than 10%. In far too many cases, insolvency professionals say that banks are conniving with promoters to sell assets back to them at a fraction of their outstanding dues. But who wants to listen, when the Bankruptcy Bill is touted as one of the big successes of the Modi government? Infrastructure Leasing & Financial Services (IL&FS): Isn’t it ironical that a government that was at loggerheads with two RBI governors—Raghuram Rajan and Urjit Patel (who resigned before his term ended)—has failed to question the banking regulator for its failure to supervise a ‘systemically important’ non-banking finance company (NBFC)? 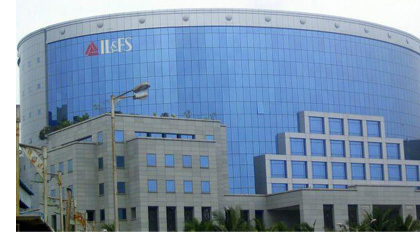 RBI failed to act on multiple letters from a whistleblower and even follow up on its own inspection report which had ordered IL&FS to cut its massive borrowings of nearly Rs1 lakh crore. We are still trying to figure out whether this was a case of regulatory capture, defiance or failed supervision. What is significant is that the government doesn’t seem to care. 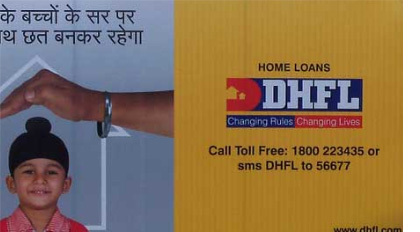 Dewan Housing Finance Limited (DHFL): On 29th January, a detailed investigation by Cobrapost alleged a massive Rs31,000 crore scam in DHFL through siphoning of loans and diversion of funds through a maze of special purpose vehicles (SPVs). This only confirmed what the market already suspected since September 2018, when the stock had crashed in the aftermath of the IL&FS fiasco. Since then, several reports have detailed suspect dealings by the promoter’s personal entities. DHFL, with borrowings of over Rs100,000 crore has added to the panic and destabilisation already caused by IL&FS, making markets very jittery. And, yet, an investigation by the ministry of corporate affairs (MCA) is only likely to be launched after the Cobrapost exposé. DHFL’s primary regulators—National Housing Bank (NHB) and the SEBI have done nothing yet. Fortunately, the chances of a quiet bailout by providing re-finance through the NHB seem less likely now. ICICI Bank: A little after the Tata group scandalously sacked its chairman, Cyrus Mistry, several top executives, gathered for a book launch at the Taj Mahal Hotel, were exclaiming how the action had badly dented the group’s reputation for good governance. One man was calmly confident that public memory is short and it would soon be forgotten. He was MK Sharma, then chairman of ICICI Bank. While Mr Sharma was on the dot about the Tata episode, the same assumption about ICICI Bank was disastrously wrong. Developments of the past few days show that it is dangerous to assume that things will always blow over. 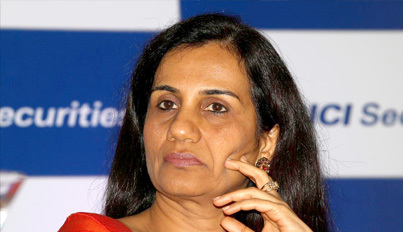 Chanda Kochhar’s indictment by the Justice Shrikrishna Committee has led to a demand for action against all board members who had defended her in April 2018 at the cost of the Bank. There is also the question of the credibility of the law firm, Cyril Amarchand Mangaldas which gave a clean chit to Ms Kochhar in 2016 and withdrew its report when the winds turned in 2018. The same firm had to be raided by the Central Bureau of Investigation (CBI) to recover Nirav Modi’s documents. The goings on at ICICI Bank, and, for that matter at Yes Bank, as well as the action of their board raise some serious questions about whether private banks, in general, behave any better when regulatory capture leads to poor supervision and whether privatisation of banks is the panacea it is touted to be. Zee Group: A sudden crash of anywhere between 26% and 33% in the stock of the Zee group companies saw Subhash Chandra, its chairman, scrambling to reassure large institutional investors. He apologised for bad investment decisions in infrastructure projects and IL&FS and assured investors them that he would clear all liabilities by selling up to 50% in Zee Entertainment Enterprises, the crown jewel of the group. Mr Chandra blamed ‘negative forces’ for trying to sabotage a stake sale and denied a report that a group entity was being investigated for laundering currency during demonetisation. Given Zee’s history and the fact that it had previously got away unscathed, despite its deep involvement in the Ketan Parekh scam that has been detailed in the Joint Parliamentary Committee report, it is not clear if investors are fully satisfied with Mr Chandra’s promises. That he is a member of parliament (MP) and very close to the ruling government has further damaged the government’s image, when it is already facing charges of cronyism due to Anil Ambani’s involvement in the big Rafale controversy. These corporate shenanigans, whether in DHFL, ICICI, IL&FS, Yes Bank or Zee, have serious implications for middle-class Indians, who have entrusted large chunks of their savings to mutual funds and pension funds that have invested in these high-profile companies. The Modi government has lost an incredible opportunity to bring about a lasting change in governance and supervision, had it single-mindedly focussed on demanding full accountability from regulators and, in turn, management of banks and companies. This would have allowed it to deliver on its promise of minimum government and maximum governance. Instead, we had a government that depended on pliant regulators and mistook articulation for action. There are reports that provident fund and pension funds may lose money invested in ILFS. What does it mean to common investors? If there chances that employees who contribute to following government schemes may lose their retirement funds? For private sector employees, these are the only retirement funds they have accrued through self-contribution. It is alarming if any of these are under risk. Please advise. Completely agree with you Mr. Ganesan. While it may be fair to say that the Govt may not have done anything to reform (or sell) govt banks or may have been worse off in managing institutions (the way they are handling RBI or statistical institutions) or made excuses by blaming Nirav case on 80:20 or pick few of its other problems, but to blame all these scams on this current govt or to use words like "instead of better governance or clean administration" is clearly in bad taste and trying to find problems all the time. Looking closely, all of these scams named here either began before 2014 or even ended before 2014 or are probably not even in the "scam" category. While I respect the work that ML does and its leaders and clearly would not assign any motives to them like Mr. Kamath does below (equally in bad taste ), I do hope ML stops writing only negative articles and sees something positive somewhere. I do think nothing can be more harmful than Congress to this country, but still can pick a "few" good things they did in their time. Hope to see more balance from ML. We don't expect it from other journalists because we know they are all motivated, but we do expect that from ML because they hopefully are different. I could not agree with you more. Even for smallest thing ,government is blamed. It does not matter which party is in power or which country (think of even US and Trump). No doubt things dont improve. Individuals will not take any responsibility. It has to be "others" . However when any benefit appears on the the horizon , that same guy would be the first to rush out to grab it irrespective of whether he deserves it or not !!! Yes I fully endorse. The Modi Govt did not initiate action on irregularities in Finance sector reported to them since 2014 by me in the PG portal as well as to various authorities since 2005. Even Sucheta Dalal and Money life was kept in loop and every one ignored it till now. Now every one is super active during election year. It will only help vested interests to mislead and take advantage at the cost of public money. Is it an avenue being provided to take out black money;RBI ,s decision to increase individuals foriegn remittance limit to usd 250000/- we must not forget in 2000 when fera was being liberalized there was a heavy rush for sending gifts to foreign by vague wording of provision and misinterpreting it. and it was reviewed after lot of foreign exchange was sent abroad.to day there is least monitoring by rbi on the pretext of liberlization and banks are toing the ideas of cutomers not to loose them. they have not verified the capabilities of the banks to implement the fema and given them all the powers to decide. Simple test is how many reports of transactions rejected by banks is submitted to rbi which is mandatory under fema. This is my 4 year old post I am posting here. Mr Kamat, since you have chosen to air your issues in a public post, let me also make this public. 1. You send us almost a email every week. sometimes addressed to me and sometimes among 30 odd people including everybody in government. 2. You have issues with scores of people -- there is no ONE issue that you have raised. 3. We run a tiny organisation -- even if our entire team, including me and our editor worked ONLY on the issues that you alone have raised or complained about -- we would not be able to cope with even 1/20 th of them. 4. We can only write about issues where we have or obtain documentation. Otherwise, it is WE ALONE who face the consequences. So yes, you may attribute any motives, but if you have read us for several years (which we know you have given that you send us so many emails), you will surely know that we have not been twiddling our thumbs for 5 years or even the 5 years before that during UPA2. We have consistently raised as many issues as we can - given our resources and organisational strength. I am only responding to your email and not the obviously motivated first-timers because you read us regularly and write to us very regularly. My simple question is don't you find anything worthwhile to pursue in so many issues raised by me, and endorsed ? It is something you need to think about. Maybe if you raise one issue, instead of 100 plus, people would have time to look at them. Honestly each of us has one life, 24 hours - and in our case, we are doing 2 full time jobs with minimal resources. Maybe you should take these to larger, resource rich publications and have expectations from them. @Shri Kamath. Moneylife-or any other such publications-is under no obligation to fight issues raised by an individual-me,you or anybody. For this , appropriate fora are the regulatory authorities. Or PIL in a court of law. If regulators,auditors are sleeping-actually in most cases hand-in-glove with the fraudsters- why should we guillotine Moneylife and such publications ? It is not their mandate. Shoot-the-messenger will make things even worse. Then why these articles. These are also issues of some individuals only. I have taken up those issues at every level. And for your information. EDPMS, IDPMS ,LRS monitoring are also after my writing to the authorities. I am not forcing anybody to take up the issue. I am just giving the facts. I am taking it up at every forum where I get an opportunity. I used to send to you as well as money life hoping that you will take up the issue based on the way some issues raised by you. OK hence forth I will not bother you and money life with mypoint of view on the issues. In old times, there was a village having only one well for drinking water. One day a dog fell down in the well and died. The water became filthy and undrinkable. The worried villagers went to the old wise man for advice. They were told to take 100 buckets of water from the well so that clean water come to the surface of the well. The villagers took 100 buckets but water status was same. They went to the wise man again. He suggested to take another 100 buckets. The villagers did the same but to no avail. They villagers tried third time to take another 100 buckets as per the advice from the wise man but water was still impure. The wise said, How come the whole well is polluted even removing this much considerable amount of water. Did you remove the dog body prior to taking 300 buckets of water? The villagers said, "no sir, you only advised us to take water out, not the dog body !!!" There is an effort in media to build NaMO into a sort of cult figure. Infallible n Superhuman! That is why anything even remotely critical is not being tolerated. This is totally incorrect. In fact the media, especially the English language media, is pursuing a hidden agenda of highlighting even small events against the present Govt,, while giving little credit to the govt on issues they have been able to handle well. mr.krishnan you are rightly pointed out the current situation that the media doing with Modi . this sold English media has never telecasted or shown interest to telecast any public meetings of our PM. i feel they are really sold on their issues rather in the larger interests of the nation. First time in the history the media after emergency.. they are really hated A good trustworthy gentlemen like MODI and busy in gobels propaganda for dynastic rule to India. they even not ashamed of what they are doing and poisoning the minds of youth. very sad to pen this words about my so called media. Poor regulation-all that it indicates. Really great article which has power of waking up common innocent Indians who are intentionally kept in dark. Great article. Full thumbs up for this. 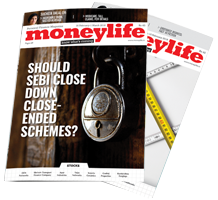 Moneylife was and still is scathing in its criticism of UPA.I remember reading an editorial which was very welcoming of the new NDA government. If things have changed since then,who is to blame.As someone who is not a fan of any political leader,I find all this uncritical,hysterical support of politicians alarming. Do we want to become like North Korea? absolutely! only paid people and those with vested interests can afford to be blind followers of one government or other. The common (well-meaning) public should keep their eyes and ears open, and not fall in love with any party/ government if they wish a future for their next generation. I am a regular reader of the magazine. Always money life focuses and writes about truth and truth with great courage , which is disturbing /disbalancing the financial health of general public . I request all the readers please once again read all the previous articles before drawing your conclusions. Hope you will appreciate. The state of affairs and failure of the system with No understanding at the top had been articulated with some courage. I agree with the points that Ms. Dalal has highlighted in this article. It's neither false nor biased. And I agree that some of the comments seem have been posted with negative and malicious intent. P M Ravindran - Seriously! Have you even read the article? I am shocked at the illogical thought process and open bias evident in this article. It is as clear as daylight that the author is blinded by a hatred for NaMo. As far as we, the ordinary citizens, go this is the first time that a Prime Minister has governed this country the way it should be. Of course he is no Hercules capable of cleaning the Augean stables in one day. But he has ensured that there has been no scams under his guard. All teh scams that are coming to light is because of the correct decisions taken and pursued by his government. Normally, one is happy to allow all critics to publish their comments. However, there is a pattern here of comments that are running an agenda and it is hard to believe they miss the main point about lack of focus on improving accountability. All one can say is that readers are smart enough to see through a series of motivated comments! Dear Sucheta Dalal, Do you think the Govt is responsible for this mess? Do you give the clean-chit to the institution such as the Banks, Financial Rating companies and Auditing firms in this article? As the title says, it is an issue of accountability - and accountability cannot be enforced by ordinary persons. It has to be enforced by regulators. And Regulators can ONLY be made accountable by the government -- first by appointing the right person for the job, secondly by allowing that person do his/her job and thirdly by holding the person responsible for FAILING to do the job . Remember top regulatory jobs come with enormous power and global prestige. We dont want yes-men there if we care for the country! You are correct. The total government is inefficient and a criminal lawyer with expertise in escaping white collar criminals become Finance Minister, what you expect? A person with zero experience in national defense systems become the Defense Minister and an actor become the HRD Minister. Realise that potential jobs from a decade were supposed to come to fruition based on these loans given in those times to these businesses to expand capacities, etc those many years ago. Obviously, no one continually monitored the funds deployment by the companies. These reports of distress have come to roost now. The max that any government can do is to make regulatory, procedural and regulator changes. Would you suggest changes to government to make to ensure no more such failures? If this is a subscription led magazine article, then surely your esteemed readers would be commentors. The timeline of the loans would make your articles circumspect. Major part of the article is devoted o an indictment of the Modi govt. Criticism is welcome, but should be objective and not blind. Whom to blame for keeping the PSU Banks without the CMD for long time? Yeh hui na baat. Finally you have come to the conclusion that even your readers are running an agenda against you! Coming to lack of focus on improving accountability I agree there are miles to go but for the first time in the history of this country here are five years when no scam has occurred. (Please note the difference between occurring and getting exposed.) Isn't that due to some accountability being enforced now that was not there for almost 70 years since 1947? And a lot has been done, whether in the construction of roads or houses for the poor, that has been done faster and within schedules. Can it be without improvement in accountability at various levels of execution and supervision? 'All one can say is that readers are smart enough to see through a series of motivated comments!' is the icing on the cake of absurdity. No reader seems to have exposed any motivated comment whereas all of them have exposed the motivated distortions in the article itself. Couldn't nail it better.... This is the first time in the history of this country that so many bankers are going to jail or getting thrown out of their jobs... including the who's who of the private sector also, not just the few public sector bankers (though I think a thousand more public sector bankers could be easily put in jail)... this is the first time that even a company like Essar, a leader in everything that shouldn't be done, is still only trying but failing to game the system and order after order to their frivolous lawsuits is going against them... this is the first time that thugs had to pay money to convert their black money to white (while in the good times under the great combo of the highly learned Manmohan Singh and Chidambaram, LT cap gain was abolished allowing a massive money laundering scandal that ML has often exposed, criticised and escalated, rightly so)... but so what if the govt abolished zero LT cap gain... after all, they couldn't get the completely rotten Income tax dept to convert the demonetization data to tax... they won't be able to enforce GST the way they like because we are unfortunately a democracy where 90% electorate is either from a caste or corrupt .... after all, all this is because of one idiot called Modi... the most corrupt PM of India ever !!!! What is the substance in this article. All facts mentioned here are already known. Only addition is the authors attempts to blame Modi govt for all the ills of the economy. It may be worthwhile to remember that all these scams had its roots the period when UPA was in power. This govt had to carry the bad apples left by the previous regime. Two concrete legislations: the Bankruptcy Act and the NCLT were bold initiatives of this govt to prevent repitions of this nature in future. It is childish to suggest that RBI was too busy with Jan Dhan accounts to supervise Punjab National bank etc. Anyway this loan was extended when Jan Dhan was not on the table. I have great regard to the incisive reporting of this author, but sorry, this article is just a meaningless rant and a waste of time. Many Indian banks and financial institutions have, in recent years, been requesting customers to complete a ‘FATCA compliance certificate’. The reason for the request is that India and the US signed an agreement to implement the Foreign Account Tax Compliance Act (FATCA) which allows automatic exchange of tax information between the two countries. Under the FATCA pact, financial institutions in India would be required to report information about US account-holders/taxpayers directly to the Indian government, which would be then passed on to the US Internal Revenue Service (IRS). FATCA is an important part of the US government’s effort to address tax evasion. Last year, market regulator Securities and Exchange Board of India (SEBI) required that Indian financial institutions have to file certification of their FATCA compliance with SEBI on an annual basis as well as put in place a system to validate the information collected. Account-holders must provide a self-certification of compliance under FATCA. Failure to provide self-certification of compliance could result in the non-compliant accounts being blocked and made inaccessible for any transactions. FATCA is part of the US’s answer to tracking money hidden in offshore accounts so it can be brought into the US tax net. Over 100 countries have signed FATCA and automatically report foreign accounts and income data to the US IRS. As a result, foreign banking secrecy no longer exists: virtually all foreign banks report their data to the IRS. In 2015, India had signed the inter-governmental agreement (IGA) with the US for implementing FATCA. Indian investors (including non-resident Indians—NRIs), who hold accounts in any Indian financial institution such as mutual funds or have bank fixed deposits, must file a FATCA self-certification form. All joint investment account-holders, including any power of attorney holders and guardians of minors, also need to attach their FATCA/CRS (Common Reporting Standard) certifications. The account-holders need to provide details such as tax residency status in India, passport status, immigration status and documents supporting it, such as documents stating place of birth, occupation, income details, and tax identification number. Account-holders should be certain that they are in full compliance with all US tax and reporting requirements, to avoid future tax and legal problems. For example, US tax law requires annual information reporting on all Indian accounts over US$10,000 in the aggregate. IRS has established several amnesty programmes, under which a non-compliant individual can become compliant and avoid potentially high penalties or criminal prosecution. However, these amnesty programmes, generally, require the taxpayer to come forth before being contacted by IRS. Account-holders should seek competent US tax legal advice before completing any self-certification or know your customer (KYC) documents for non-compliant accounts.